Personalise with your own words! 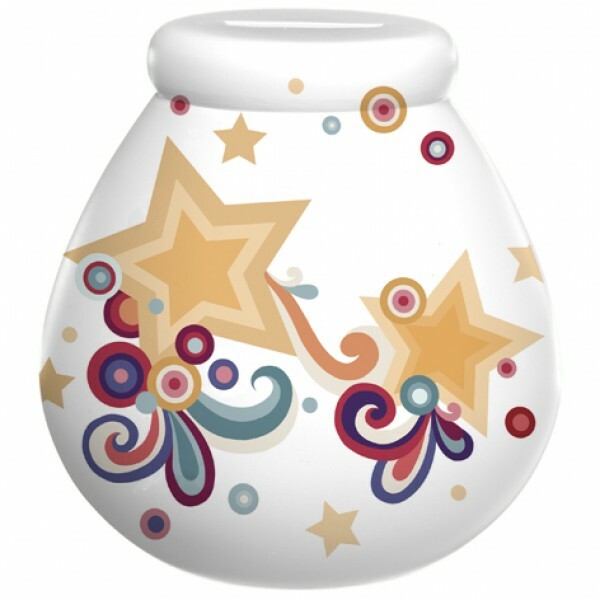 This pot comes complete with sparkly transfers which are in keeping with the Pot of Dreams Range. 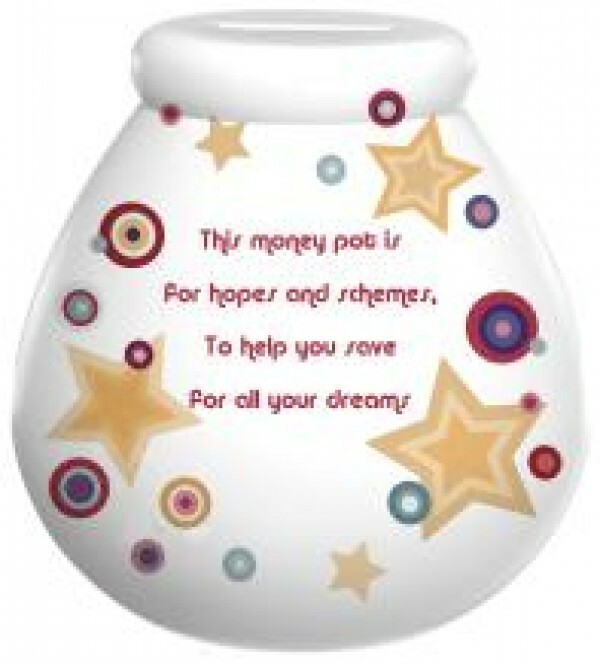 This money pot is for hopes and schemes to help you save, for all your dreams.